It's that time of year again. The two biggest Jpop-related events in Europe (namely Japan Expo and Hyper Japan) are over and Hyper Japan in particular have released their feedback forms, which means it's time for me to spam them with requests to get male idol groups to perform next year. They must love me. Every year I beg for Da-iCE, Bullet Train, BOYS AND MEN, and whichever other groups I think might have the tiniest chance of performing overseas even though I know it's futile. If you'd like to aid me in my spam and maybe make the smallest bit of difference then you can find their feedback form here. We've literally...never had a boy group at Hyper Japan and I'm very salty about it. The closest we had was THE HOOPERS last year (which was pretty awesome by the way). 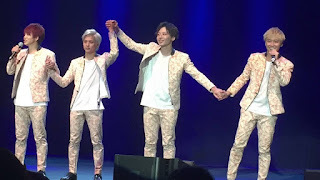 This year Japan Expo in France was lucky enough to see a performance from BREAK☆THROUGH"5D, and for the past two years FanimeCon in America have managed to secure two different boy groups (namely Da-iCE and X4) as their guests of honor. Aside from these instances, it's pretty rare for Jpop boy groups to perform in other countries, or outside of Asia anyway. I guess it just comes down to the fact that boy groups simply aren't as popular as girl groups in the Jpop fandom (aside from Johnny's Entertainment but they're a whole other story, haha). The way I see it though, is that maybe these groups could gain more popularity if they did do the occasional performance at overseas events. Which is why I waste so much time spamming Hyper Japan, haha. That and I want to get to see my babies up close. But failing HJ spam, I recently discovered a website called MyMusicTaste. This website allows you to create a campaign to get artists to perform in your city. You add the artist, the city you want them to perform in and how much you'd be willing to pay for tickets, and then other fans who are interested can back you up. 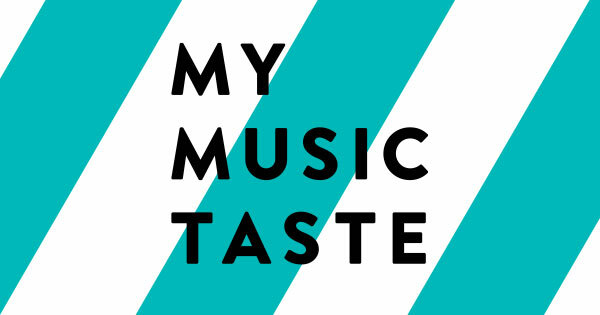 If your campaign gets enough responses MyMusicTaste will contact the artist for you and supporters on MyMusicTaste will receive special perks if the concert does end up happening. The website has already been succesful in bringing several Kpop artists to Europe and the US, and while I know it's pretty unlikely to work for Jpop artists (especially the kind I'm into, haha) I think it sounds like a great project and it couldn't hurt to give it a try. So far I've made a campaign for Da-iCE to come to the UK. If you're interested you can check it out here (or you can add your own city!). If you decide to use this website and you add any campaigns feel free to link me to them. Let's bring lots of Jpop artists around the world together! If you could have absolutely any Jpop artist perform in your city, who would it be? But I am happy that I at least can see some live when being in Japan once a year! Do you plan on costing Japan one day!